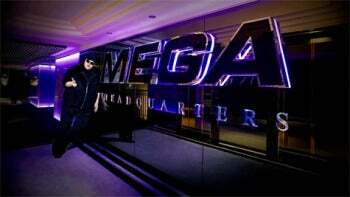 U.S. federal prosecutors are fine with Megaupload users recovering their data -- as long as they pay for it. The government's position was explained in a court filing on Friday concerning one of the many interesting side issues that has emerged from the shutdown of Megaupload, formerly one of the most highly trafficked file-sharing sites. Prosecutors were responding to a motion filed by the Electronic Frontier Foundation in late March on behalf of Kyle Goodwin, an Ohio-based sports reporter who used Megaupload legitimately for storing videos. Goodwin's hard drive crashed, and he lost access to the data he backed up on Megaupload when the site was shut down on Jan. 19 on criminal copyright infringement charges. U.S. law allows for third parties who have an interest in forfeited property to make a claim. But the government argues that it only copied part of the Megaupload data and the physical servers were never seized. Megaupload's 1,103 servers -- which hold upwards of 28 petabytes of data -- are still held by Carpathia Hosting, the government said. "Access is not the issue -- if it was, Mr. Goodwin could simply hire a forensic expert to retrieve what he claims is his property and reimburse Carpathia for its associated costs," the response said. "The issue is that the process of identifying, copying, and returning Mr. Goodwin's data will be inordinately expensive, and Mr. Goodwin wants the government, or Megaupload, or Carpathia, or anyone other than himself, to bear the cost." The government also suggested that if Megaupload or Carpathia violated a term of service or contract, Goodwin could "sue Megaupload or Carpathia or recover his losses." 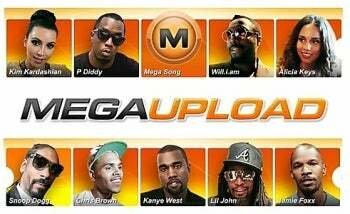 The issue of what to do with Megaupload's data has been hanging around for a while. Carpathia contends it costs US$9,000 a day to maintain. Megaupload's assets are frozen, so it has asked a court to make the DOJ pay for preserving the data, which may be needed for its defense. So far, the issue remains unresolved.